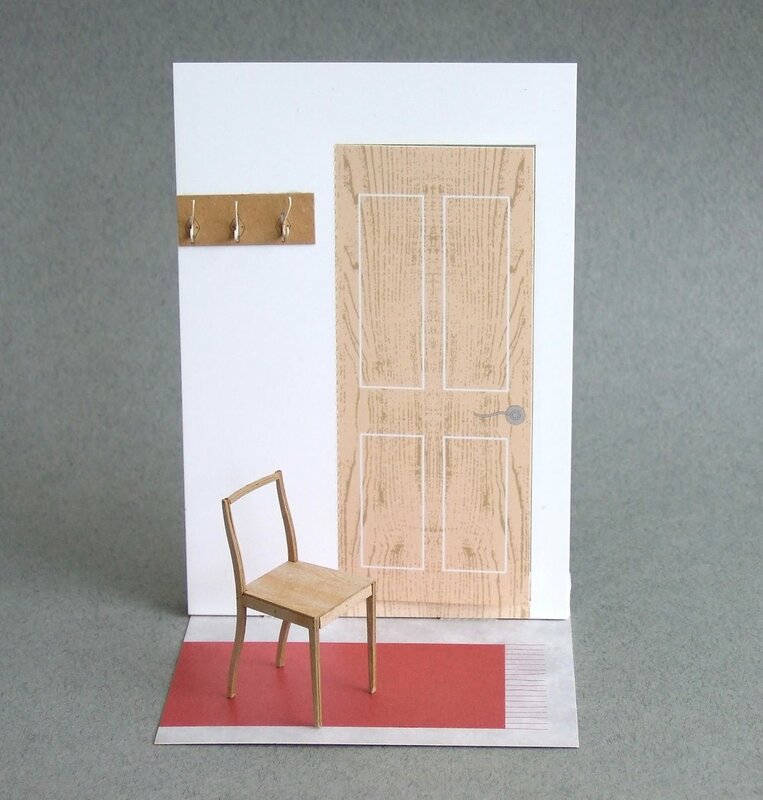 The picture below shows a set for the left side of the chair, made with three layers of card. Glue them together, with wood grain printed sides facing outwards. Continue to glue the other side, a mirror of the first one. Apart from the seat, all other parts are made with 3 layers. For the front and back stretchers under the seat, the wood grain print and location marks for the cross pieces are facing outside, as shown in the two following images of both sides of the same piece. 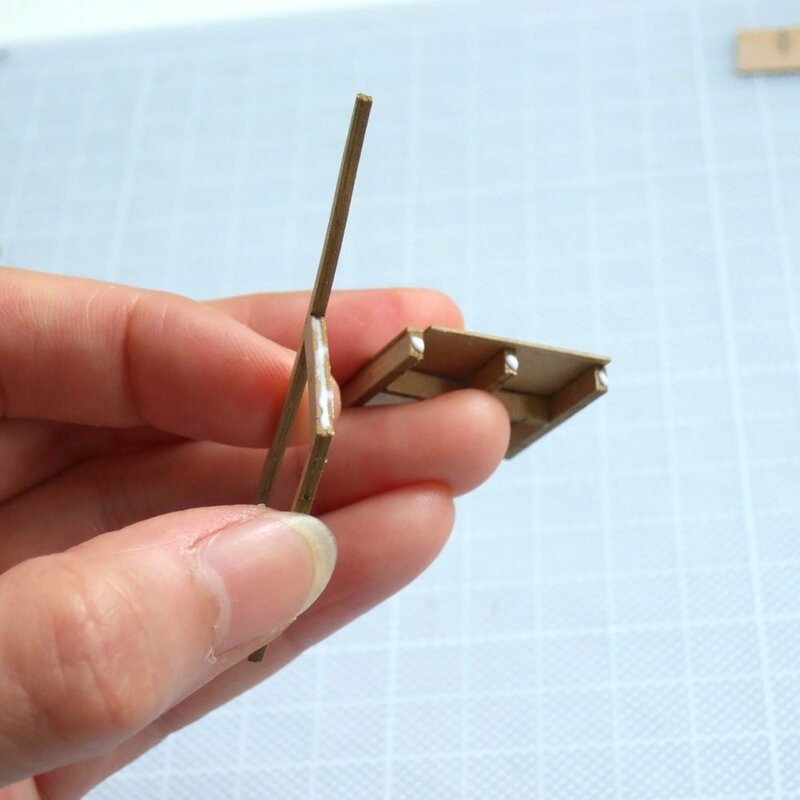 When all parts are dry, you can start to assemble them – back stretcher under seat is glued on first, wood grain out, thus location lines facing in. 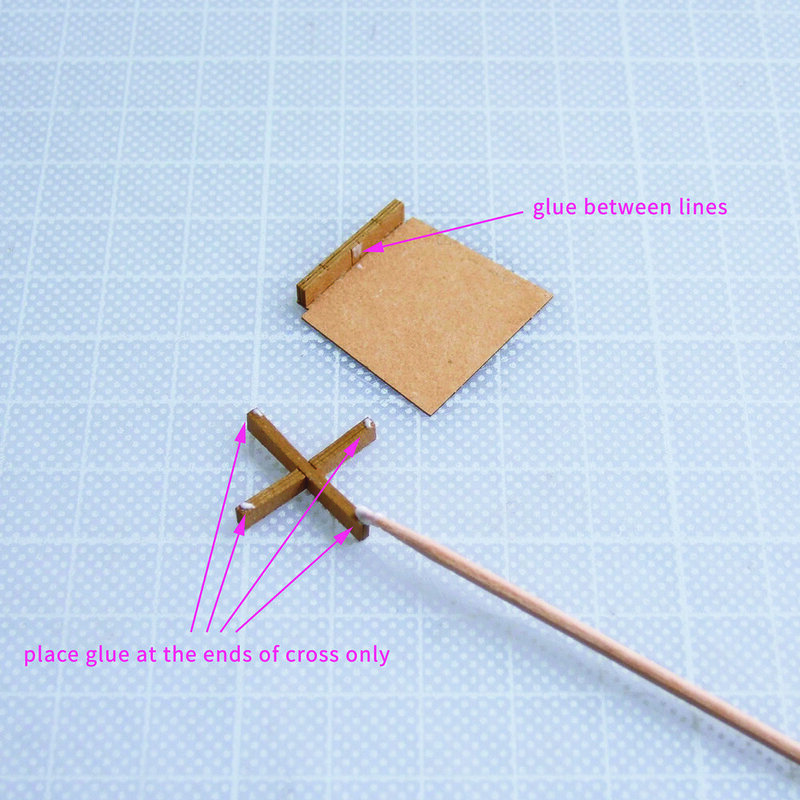 Then fold and glue the under-seat cross, slightly curved line facing upwards. Apply glue to top corners, also between location lines under the seat, then place cross up-side-down, leaving equal spaces to the edge of seat. See photo’s below to clarify. Attach front stretcher under the seat and glue both sides of leg parts to the seat. 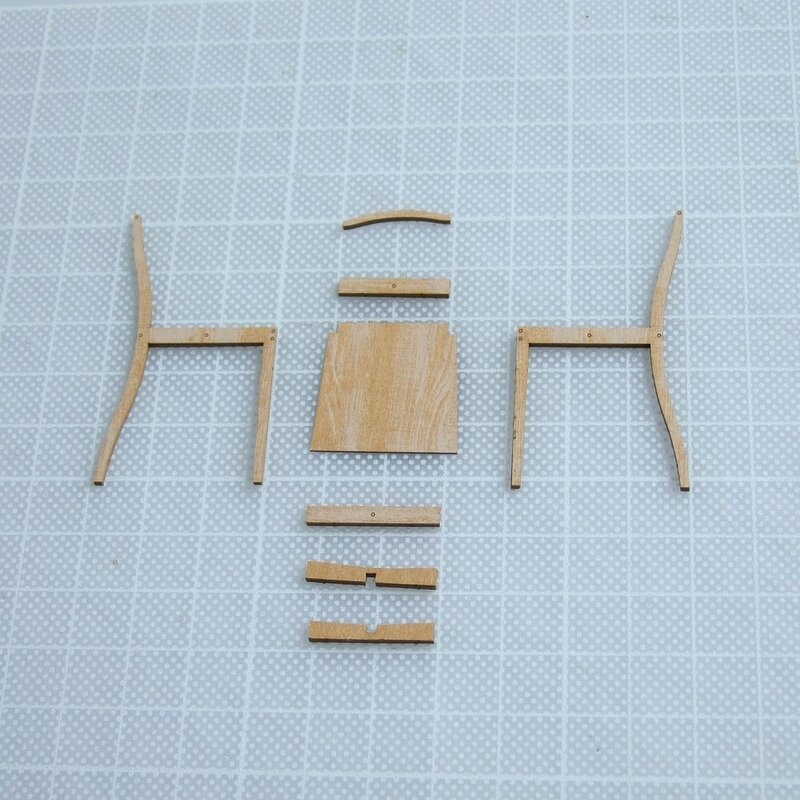 When the four legs of chair are nicely dried, apply a small amount of glue inside the top ends, place the top bar the wood grain facing top, and hold it until it dries. The chair is complete! Next step is the wall hook. 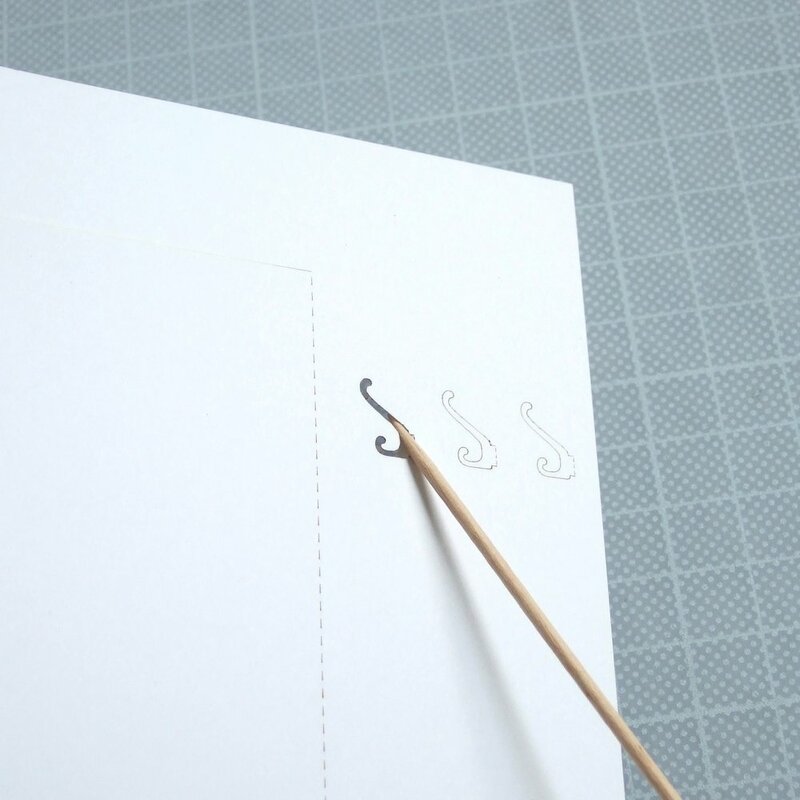 Press the three cut-out wall pegs from behind using a pointy tool. 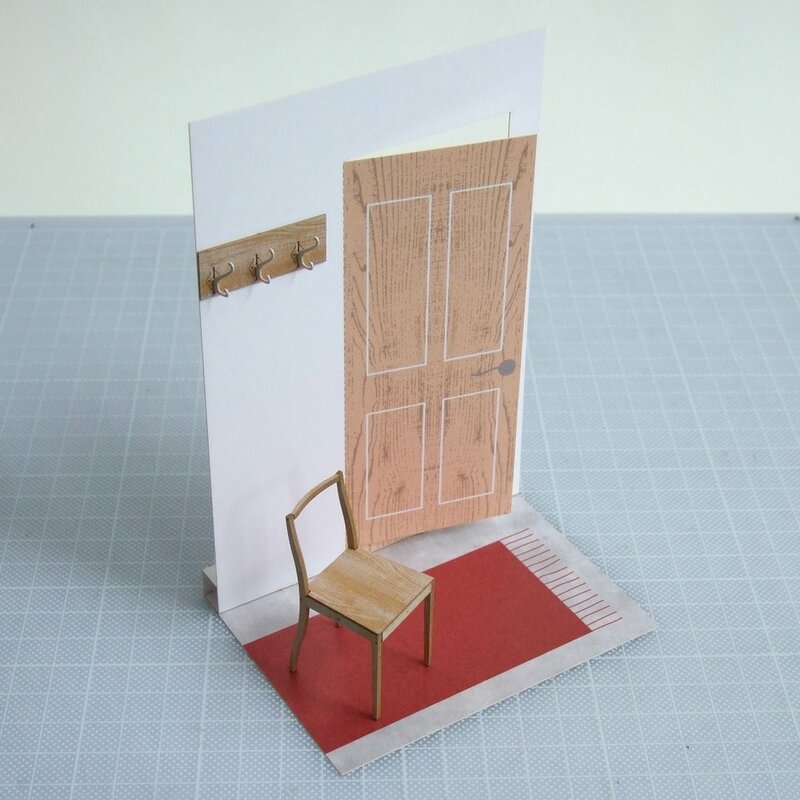 Then insert the wall plate, the last part from the chair card, through pegs and glue it in position hiding the holes and printed colour. Valley fold the dotted line to open the door. Then mountain fold at the bottom line of the wall, shown with arrow. Fold floor part as shown, then apply glue at indicated areas and place the floor part on the back of the wall part at the line shown with the arrows. Turn the floor part around then insert the two tabs into the slots below the front of the wall – it is best to insert both at the same time. Please refer the link How to assemble background for more detail.